!!Update!! First Place Get of Sire, PAOBA 2013, with three juvies! 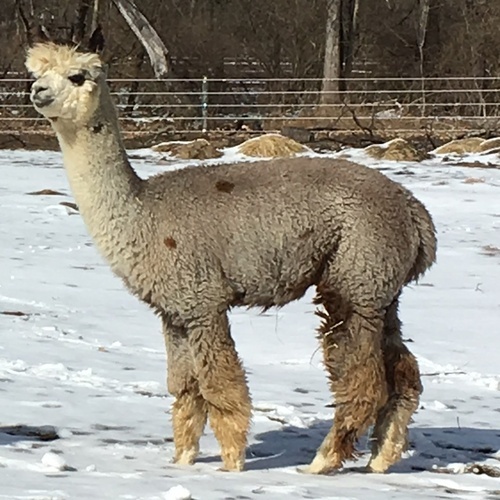 Royal Peruvian High Definition is a full Peruvian four time color champion, medium silver gray male out of the well know program of Mary Reed of Chagrin Valley Alpacas. He is a stunning male with perfect square proportions, solid bone, level top line and beautiful classic huacaya look. 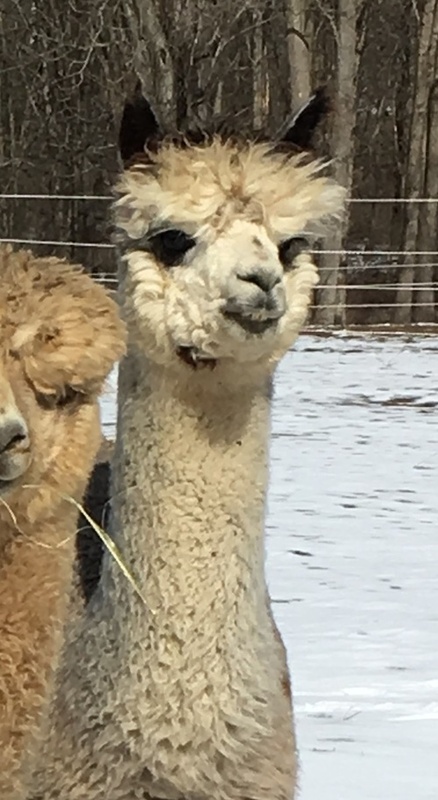 Jazzy is a full Peruvian light fawn alpaca out of black genetics, which include, MFI Peruvian Black Mesquite on her dam's side and her sire is Black Peruvian Royal Forest. She has a really lovely advanced fleece that took first in the 2007 AFCNA Fleece Show. It has exceptional staple length that bundles into match sticks with a high frequency crimp from root to tip. She is conformationally correct with a lovely balance to her frame. She has good coverage and a pleasing head. A son of Royal Peruvian High Definition and Brookhollow's All That Jazz, this Rose grey male is easily picked out of the pasture with his classic rose grey coloring. His conformation is spot on and he is a very true to type huacaya with nice coverage and a beautiful head. His fleece is not quite the standard of his full brother, but he still has the wonderful disposition and beautiful presence that Jazz and High Def create together.